NEW! L'Oreal Infallible 24H-Matte Foundation and Mattifying Primer- Review. 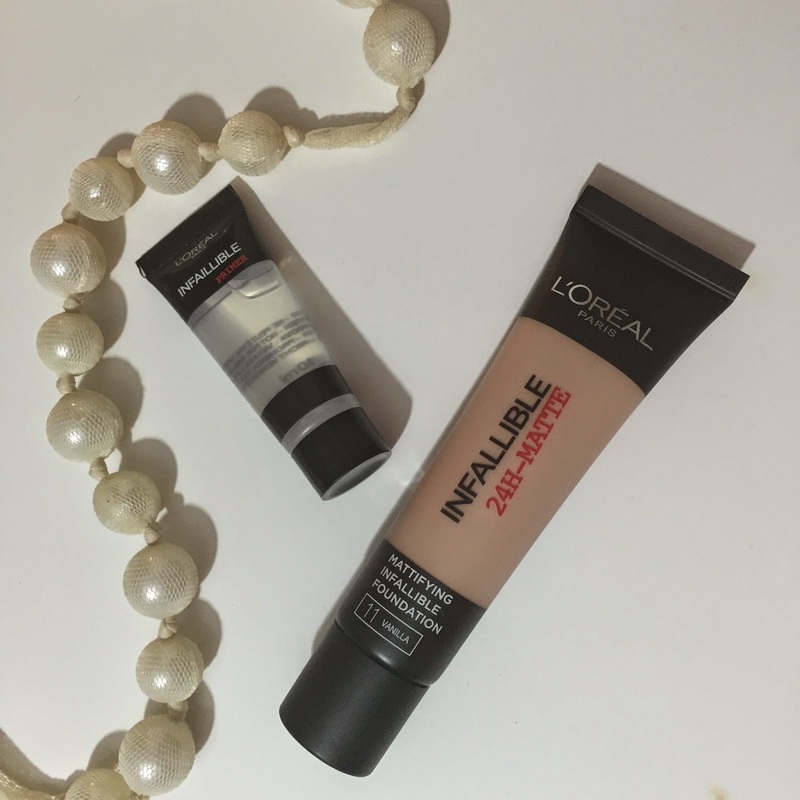 I am probably one of the minority in the blogosphere that has never tried the original L'Oreal Infallible foundation- but it's not for lack of trying in my defense. On several occasions, I have swatched the lightest shade in store but it looked banana yellow on my hand, and yellow is not a good look for me. I received these products for review earlier this week and I have to say- much and all as I adore L'Oreal products, I probably would never have veered towards a matte finish foundation or primer if I was to pop into Boots for a foundation fix- just from personal preference. That said, I was excited to try these out, and the colour that I was sent- 11 Vanilla- appeared to be a pretty good match. I have tried these out over the last few days and I have captured a day of wear in photos so you can see for yourselves how this held up. For reference, I have dehydrated, dry skin and I don't battle with oiliness issues, apart from a little bit of shininess in my nose area towards the end of the day. I'm a divil when it comes to skipping primer, and if I was going to use a primer, I would probably opt for an illuminating primer as opposed to something mattifying like this new L'Oreal offering. The Infallible Mattifying Primer is a silicon based primer that mattifies, prepares and smoothes the skin but minimises the appearance of pores and imperfections which allows the foundation to glide on seamlessly. Interestingly, my instructions that came with this product informed me that when it comes to this primer, less is more, and a few little dots over my T-one, cheeks and chin would be sufficient. I followed the instructions to the letter and this foundation definitely evened out my pores and fine lines and I was satisfied that I had a better base for the foundation. It didn't feel heavy or even present on my skin like many other silicone based primers do. My foundation did hold up well over the course of wear, my pores did not become too visible, and my skin did not have any adverse reaction to the primer. Oily skinned gals rejoice, because the Infallible 24H Matte Foundation promises to be long wearing, comfortable, mattifying and deliver perfect coverage. The folks at L'Oreal have told me that this product is clinically proven to be waterproof and steam proof- and as far as I am aware, there are not too many waterproof foundations on the market. Once my primer had sufficiently settled, I set about applying the foundation. It is not a thick texture as I expected but more on the creamy side. I squidged a plop on my hand and used my Blank Canvas Cosmetics F20 flat buffing brush to spread and smooth it out on my skin. It spread really well, didn't feel like it was drying as I worked with it or didn't set on my skin half way through application, as is the case with many other matte foundations that I have tried. The coverage was medium/full but it genuinely felt like I had nothing on my skin- not cakey, not sticky- which made is easy to build the coverage a little around my problematic chin area. I was expecting this to be mask like, but as you can see from the pics below, my faint freckles were still visible. I had the clingy-foundation-nose fear when using a matte foundation but am glad to report that at no point did the foundation cling and gather anywhere on my face over the course of wear any of the days that I tried it- no mean feat because I often suffer from nose clingage. I've even included plenty of pictures of my snout because I am just THAT happy to have found a foundation that doesn't cling. I really like the packaging, a simple matte tube with a long pointy nozzle which is perfect for dispensing the right amount of product. 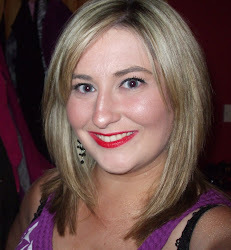 The colour 11 Vanilla was a perfect matte for my fair, cool toned skin- no jaundice creeping in here. This promises to be infallible for 24 hours which I think is crazy (who needs to wear foundation for 24 hours in all honesty and how cruel is that to your skin! This lasted well on me for 16 hours- probably could have tested it for longer but I had to go to bed and let my skin be free! Freshly applied at approx 7am mark- I applied no setting powder on this for honest review purposes. You can see my pores are nicely covered but my faint freckles are still visible. Four hours in and foundation holding up perfectly- absolutely no complaints and barely notice that I even have it on. Again, delighted to report no nose clingage issues! Six hour check- happy with how it is holding up. Honestly noticed no difference to when I first applied. Still cannot quite believe the lack of nose cling! 12 hours later and notice that my nose marginally shinier than it has been all day. and my pores are a little more visible- but this is pretty dang impressive after 16 hours of wear! Overall- I honestly could not possibly fail to be impressed by this foundation and primer combo- and I don't say that lightly. My only disclaimer is that I do not suffer with oily skin generally, so I cannot testify as to the robustness, but I give it full marks for realistic mattification of my face over a 16 hour day. What I am particularly impressed with is the light feeling of this on the face- so easy to just forget you have foundation on at all- even those this is a matte foundation. Also- this does not form a mask- even though the coverage is great, I was happy to still see my freckles peep through, my skin still felt like my skin. I enjoyed using both of these products and they certainly exceeded my expectations in the performance stakes considering I'm not particularly oily skinned. Matte foundations and my nose typically do not get on but as you saw yourself from the pictures above, this foundation did not break down or gather on my nose in the slightest. Even though it is undoubtedly a matte foundation, it feels like your natural skin, which is probably my absolutely favourite thing about it. Lightweight, not flat, not sticky. You could do way worse things with your €12.29 if you ask me! Are you tempted to try out this foundation and primer duo? Would love to hear from any of my oily skinned sistas who have given this a go! I'm really impressed by this foundation based on your photos; I'd seen a lot of rave reviews but not many pictures. It sounds like an awesome foundation and I'm similarly not one to really go for a matte foundation - I might have to check this one out. I really like this primer but I found that the foundation a bit drying for me. I haven't tried the primer yet but I really want to =) You look gorgeous!